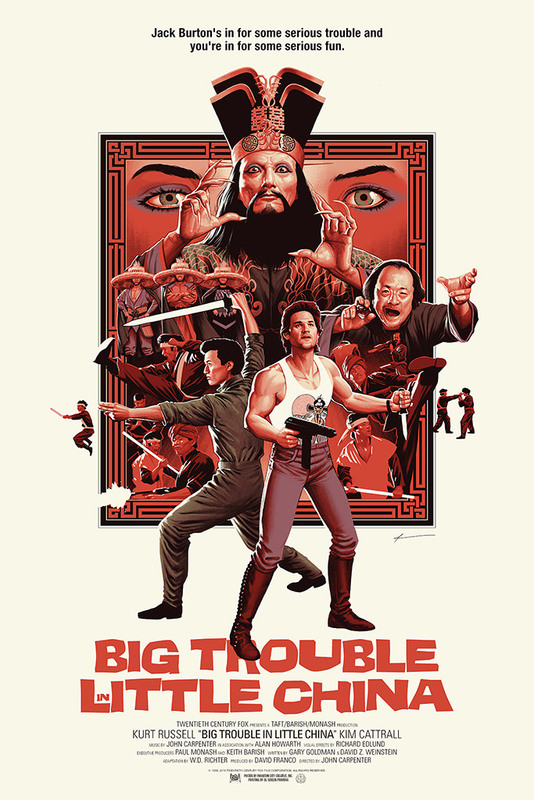 Mondo brought Phantom City Creative on board to take on their poster for Big Trouble in Little China. The regular is a 24″ x 36″ screenprint, has an edition of 275, and costs $55. The variant has an edition of 150, and costs $75. Visit MondoTees.com.